Legendary: Scaled down version of the notebook of Hemingway, Picasso, Chatwin…and Steves! Prized by generations of writers, artists, and travelers for its minimalist design and quality construction. 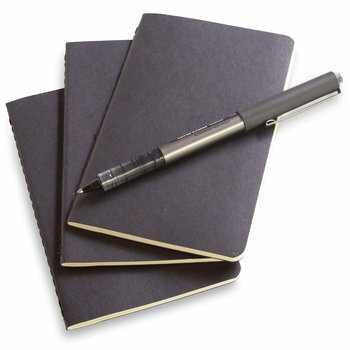 Pocket Size: Handy 3-pack of smaller notebooks economically allows the traveler to use a book per trip or destination; the perfect short-term memoir. 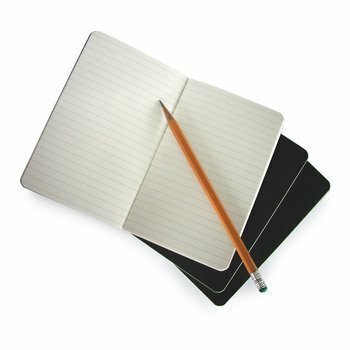 Cool Extras: Built-in document pocket on the inside back cover; the last 16 sheets are perforated and detachable making it easy to leave a note on the go. Also Available: Mini Travel Journal size. Dimensions: 3 ½" x 5 ½"